A newly constructed green has added further challenges to this dog-leg par 4, played from elevated tees. Trees and a lateral hazard guard the entire left side and fairway bunkers protect the right side. 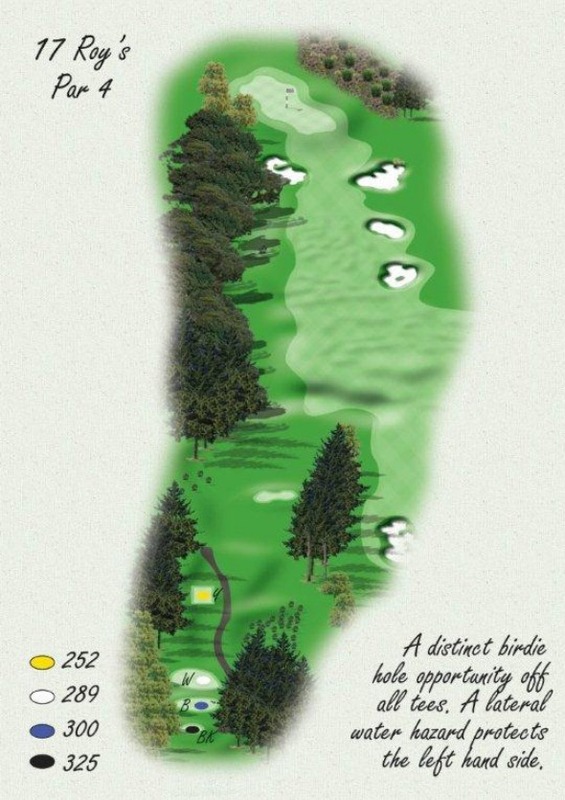 The fairway slopes slightly to the left so line of play is very important.